Since last time in March we met some OVNIS. There are OVNIs everywhere ... Let's hope it satys like that. Below is a review of the last ones we saw, starting by the very last one and going backward. (Back to the future). 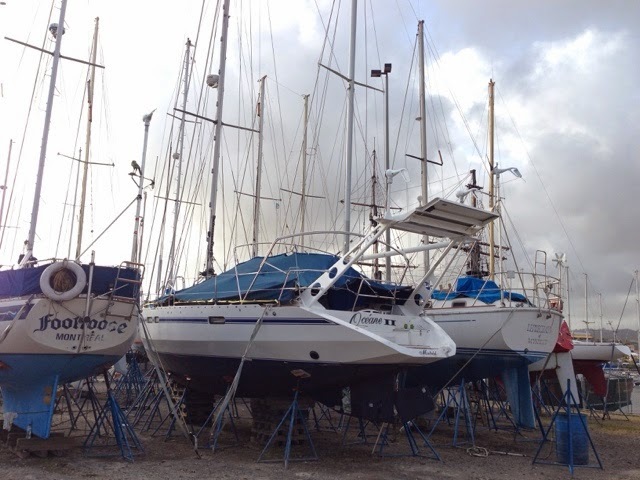 1 - the first today on the dry dock at Rodney Bay. We are just 2 rows apart. It is OCEANE 2 from Montreal Canda. 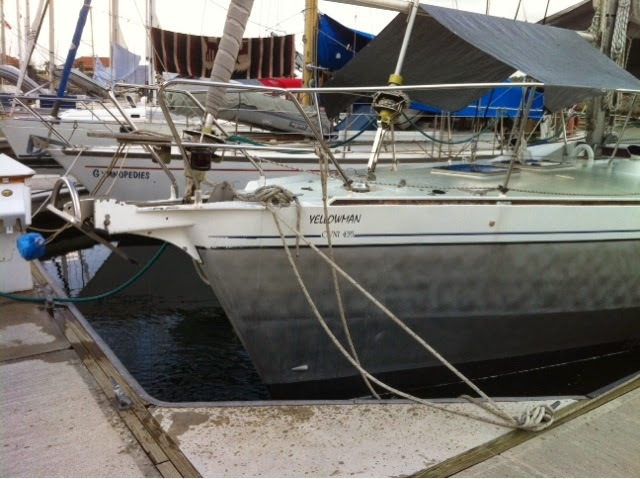 Looks like a 43 or a 435 may be and she is ready for "summering here". The second one is the 445 number 33 or may be 38. She was at anchor the first time we met and tool a picture to come, then we met her at the pontoon and talked to the owner: a couple from North Europe with a big dog. 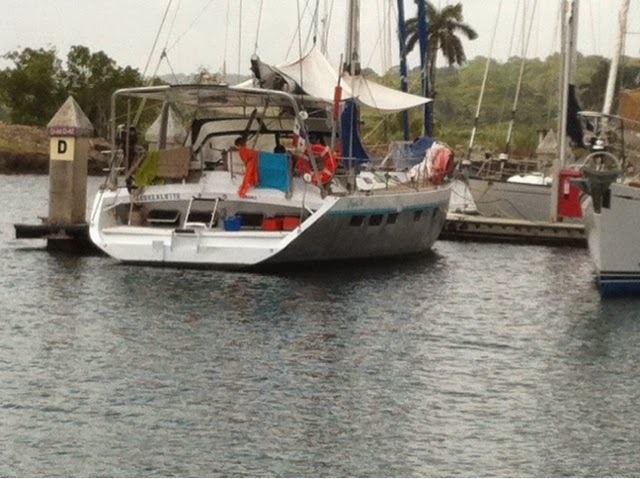 The thrird is in Rodney Bay marina for the rainy season and looks like a 395. The fourth was seen by Chistian at the entrance of the Panama Canal it was the 435 number 60 and he could take a picture. 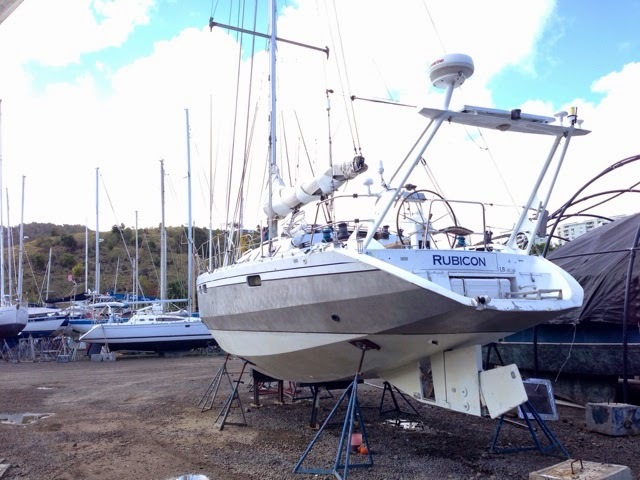 The fifth, RUBICON, was on the dry dock at Le Marin.